I don't think of Lara as particularly creative - like me, her artistic and creative side is very much driven by mimicking others, rather than developing her own innovative style; that's why she doesn't normally get along with drawing and doodling books normally because she likes to have instructions to follow and designs to copy! 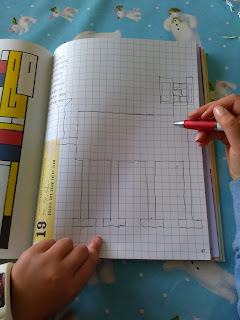 Doodle Dogs has been a big hit with her because it encourages creativity... but within boundaries and with instructions. Perfect for helping Lara to explore her creative side on her own terms. Doodle Dogs by Tim Hopgood is an activity book with a doggy theme; on the pages you'll find drawing, colouring and doodling activity prompts which introduce you to different artists and their styles. There's a page in the style of Matisse, Jackson Pollock and even Kandinsky! Each page has a different activity which can take from seconds to hours to complete. Some simply require a pen or a pencil, others probably need a bit more colour, though Lara hasn't yet lifted out her paint set and tends to stick to pencils and crayons. 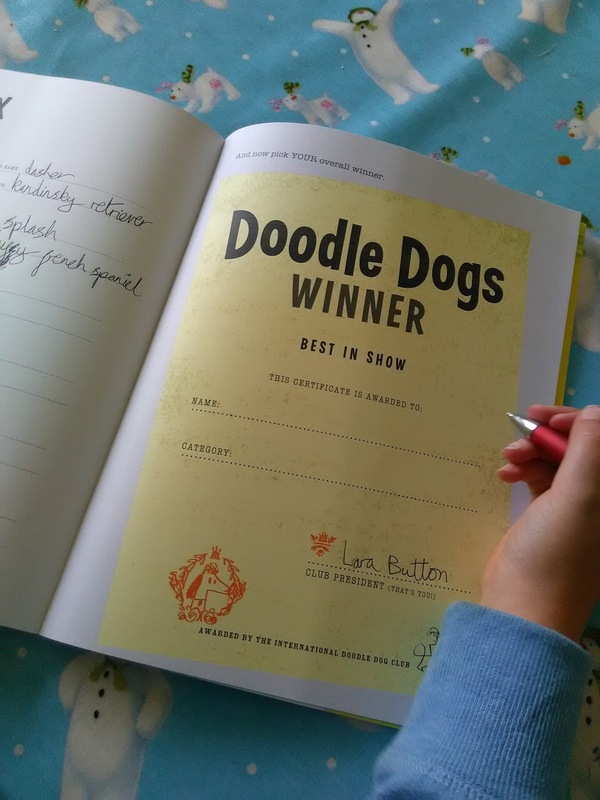 The book is broadly themed around dogs preparing for a dog show and at the end of the book you get to award a prize for the dog you like the look of most. 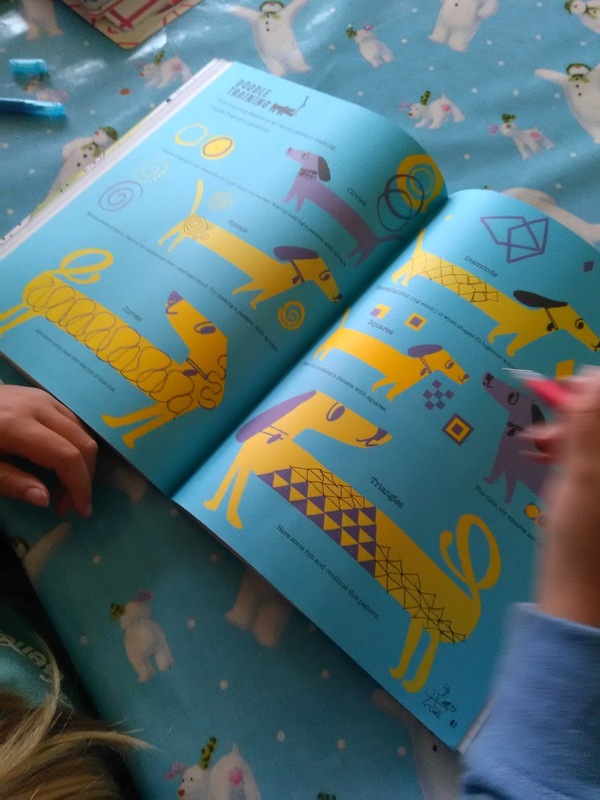 I think this activity book is a great introduction to different styles of art - Lara doesn't even realise that she's learning about such significant art movements as pop art and modernism, she just knows that each page is different. I think Lara has most enjoyed the pages where she gets to follow patterns - maybe there's a little bit of Escher in her? Lara has really enjoyed responding to many of the prompts in the Doodle Dogs book. 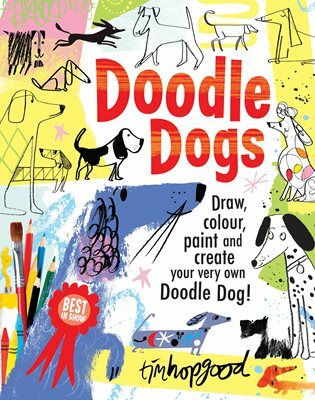 You can find Doodle Dogs for around £8.99. I'd recommend it for children from about 6 -10.